Small screens are a big area of contention for content creators with crosshairs on smartwatches. While touch controls and adjustments are simple enough, web-browsing and streaming on such a small display seems infeasible. The fact that millions of Americans enjoy reading the news on mobile devices further complicates the issue. Survivors from the days of print news in particular know all too well that their life force hinges upon their ability to adapt to new technologies. This could be why the New York Times already has a strategy in place to offer news to Apple Watch users that doesn’t involve holding a magnifying glass to tiny text. The solution? Basically, iPhone users who have the Times app will receive one-line articles that include bulleted summaries that can then be saved via the “Handoff,” so that the story can be read later or transferred to a smartphone or tablet. 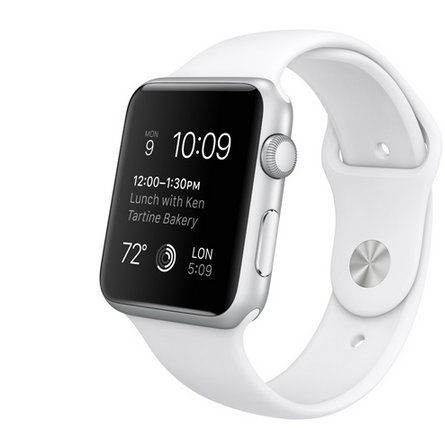 Rather than simply rehashing headlines, the content will be tailor-written to appear on the Apple Watch display. Stories will be pulled from the business, politics, science, tech and sports sections. The Times’ push to pioneer digestible content for Apple Watch comes with a unique bonus. Stories discovered and forwarded from the Apple Watch and read later do not count against the allotted ten stories per month limit for nonsubscribers. In other words, New York Times digital content is free for anyone who owns an Apple Watch. If people actually do read the news on their smartwatch—because why not?—the New York Times would appear to be ahead of the curve. Watch out news companies. The Gray Lady has a new watch, and she knows how to use it.